"We’ll all help out while you’re gone," Morgan said. Rob nodded and put an arm around his wife’s waist. "Don’t you worry about a thing. We’ve got your back, Bella." "The show’s coordinator is coming in twenty minutes," Hannah said. "She’ll ask you a lot of questions, go over the paperwork and you’ll have to sign a bunch of forms. Your flight to Canada leaves tonight at seven." "Tonight?" Bella squeaked. This was all happening way too fast. "I haven’t even agreed I’ll do the show! And why Canada?" Hannah bent forward and gripped her face in her hands. "Five million dollars, Bella. Focus on the five million dollars. All you have to do is win a couple of contests. It’s in Canada because it’s located in Jasper National Park—you know they use a new exotic location for each show. Just be grateful you don’t have to fly to Australia." "Although Australia would be pretty cool," Morgan put in. "But Jasper’s great, too. I’ve been there a bunch of times." Fine, she was grateful. Not. She couldn’t believe Hannah and Morgan were ganging up on her, and just because Morgan—a Canadian by birth—vacationed in Jasper, didn’t mean it would be any fun at all to film a reality television show there. In fact, it sounded downright cold. "What if I lose?" "Uh… you’ll have to…" Hannah held the clipboard in front of her face and mumbled something unintelligible. "I’ll have to what?" Bella demanded. Hannah’s face grew red again. "I already agreed to that part—there’s no way to change it now," she said, lowering the clipboard slowly. "If you lose, you have to marry the billionaire for a year." 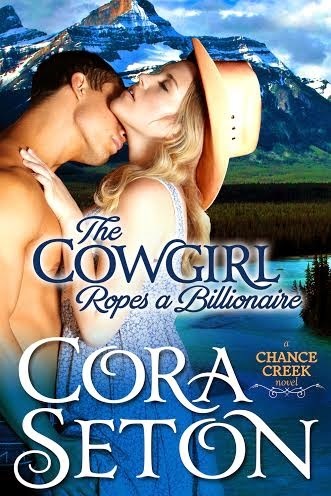 The Cowgirl Ropes a Billionaire by Cora Seton is a 2013 One Arce publication. I was provided a copy of this book in exchange for an honest review. 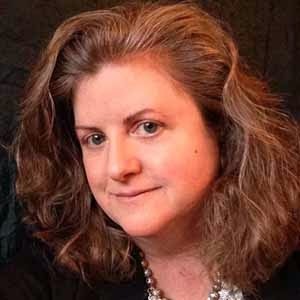 Bella, a veterinarian will lose her business and countless homeless animals that need care will suffer if she doesn't come up with a large chunk of change in a hurry. Evan is a billionaire with his own agenda and that is how he and Bella become contestants on a reality show called "Can you Beat a Billionaire". Bella could walk away with millions if she wins, but if she loses she will have to marry Evan and live with him an entire year. Like all reality shows, this one features some difficult challenges and some really silly ones too. Evan and Bella go for the jugular and fight each other every step of the way. But, as the competition heats up, each of them will learn something about the other that puts things in a new perspective. Bella is haunted by an event that took place in her childhood that caused her family to undergo serious financial hardship. For years she has blamed her carelessness for what happened and her family has never contradicted that feeling. Evan had an isolated childhood and a clingy, sickly, controlling mother that caused him many issues in adulthood. These issues are often misunderstood by others and he has managed to gain a reputation for being selfish lover who loses interest in a woman after only a few weeks. This installment is really light and is very much like a real reality show. It turns out to be a good experience for both Bella and Evan and many old wounds are finally healed. The thing I liked best in this one was the message that if we would only communicate with one another so many misunderstandings could be cleared up before they turn into bitter feelings that tear relationships apart. I also loved that animals were a part of the story and caring for them was a theme throughout. I must confess though, that of all the books in this series, this was my least favorite. I don't really like reality shows so maybe that was part of it. I also didn't feel like I got enough of Evan's story and the ending was just a little too rushed. Other than that , it was still a quick, enjoyable read. "The thing I liked best in this one was the message that if we would only communicate with one another so many misunderstandings could be cleared up before they turn into bitter feelings that tear relationships apart. I also loved that animals were a part of the story and caring for them was a theme throughout." I'm like you - I love great examples of how relationships can work out with communication. I love how the healing process begins and then there is always a happy ever after to follow. Of course any life experience dealing with animals melts my heart right away. I'm a big animal lover and supporter. Thanks for your review. Keep a look out for Vol. 7 in the Chance Creek series - The Cowboy Rescues a Bride. It's due out on May 4, which is coming right up! The Cowboy Earns a Bride will be out this summer. Feel free to ask any questions - I'll pop by again later to answer them! Great giveaway Cora. I will be watching for this one.